57 future lone soldiers were among 239 North American Olim who arrived in Israel on Wednesday. Arutz Sheva met them. 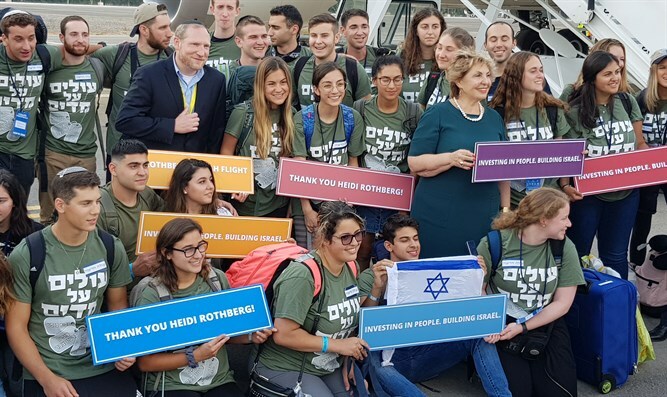 57 future lone soldiers were among 239 North American Olim who arrived in Israel on Wednesday on a special Aliyah flight chartered by Nefesh B’Nefesh. Arutz Sheva spoke to them upon their arrival. Lone soldiers are soldiers who served in the IDF but who do not have immediate family in Israel. They serve in regular units and receive various forms of support from the IDF, Israeli government ministries and other organizations. To watch the full broadcast of the landing and welcome ceremony, click here.